Ever since I can remember I have loved to travel, and I always preferred camping to staying in hotels or motels. I've traveled and camped with cars, motorcycles, trucks and RVs. And like most of you I started with a tent and worked my way up first to a van that I customized so that I could sleep comfortably in it, and then to a slide in pop-up camper in the back of my truck, and the comfort of that taught me that I did not want to go back to a tent ever again. The first real RV I had was a small and inexpensive fifth wheel trailer, I believe it was made by Thor and called the glide lite. That trailer taught me a lot about what I wanted in a future trailer, and that small and inexpensive was not going to take me very far. So in 2013 I bought a new Northwood Arctic Fox fifth wheel model 27–5L and have been very happy with it so far, I bought it knowing I was going to be full-timeing, and this trailer is built just for that purpose. This blog is going to be about me living in my Arctic Fox fifth wheel and how well it does its job. I will be modifying it, hopefully improving it, and making videos showing you the changes I make. I like to boondock if possible and plan on making videos showing you how to get to the various boondocking spots I stay at. So if you would like to come along I welcome your company and hope we can all help each other have fun on our trip through life. So click on the menu, and then open up "theboondorks blog". 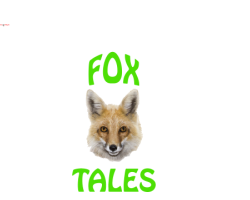 my name is Tom, my blog is called FoxTales and I call myself---"theboondork".